EAST RUTHERFORD, NJ. 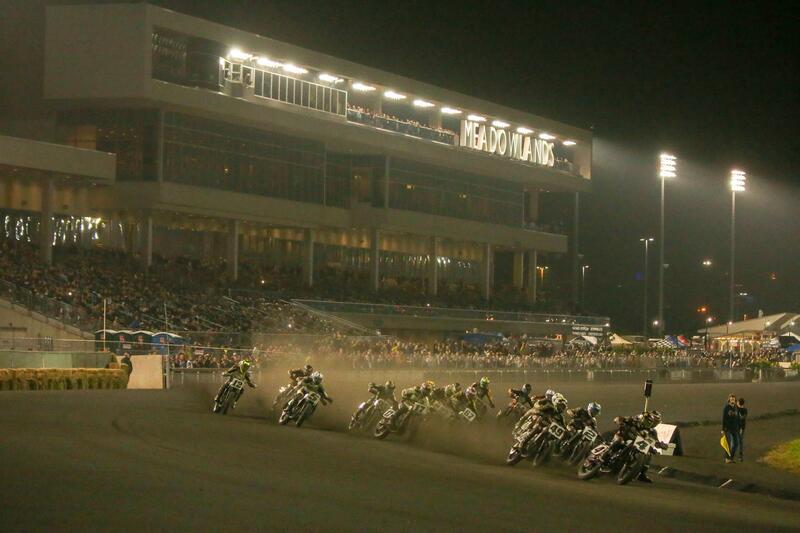 (October 7, 2018) – American Flat Track closed out an historic 2018 in East Rutherford, N.J. on Saturday night with a pair of barn-burning AFT Twins presented by Vance & Hines and AFT Singles races. The first-ever Meadowlands Mile presented by Ducati definitely left fans counting the days to the 2019 season after a pair of living legends – and a pair of soon-to-be legends – battled inches apart at triple-digit speeds for 25 and 15 laps, respectively, around the unique, multi-line and highly challenging Meadowlands Mile circuit in contests not decided until the season’s final corners.